Everyone wants to cleanse their colon, detox their system, and get a jump start on their weight loss goals, but while most are out looking for unnatural colon cleansers and fad diets that lead to deprivation and weight gain, others out purchasing the Omega Juicer O2 Mini Juicer! It's completely natural. It does not deprive your body of nutrients. It is simple to implement into your daily life. It delivers more energy, rather than zapping all of your energy away. 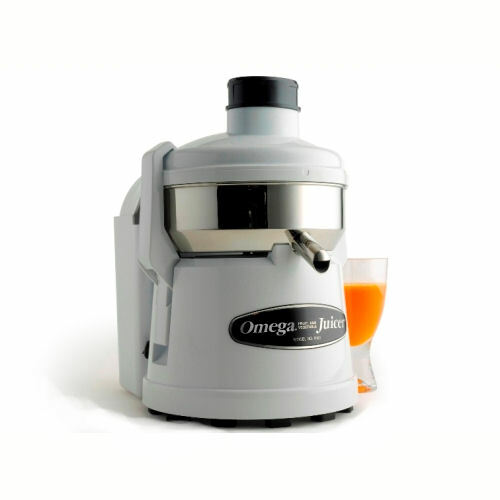 While some people may go on juicing fasts from time to time, most people use the Omega Juicer O2 juicer as an addition to their daily life. You know fruits and vegetables are good for your body, but did you know they can actually increase your energy, boost your metabolism, and increase your body's fat burning efficiency? Fresh fruits and vegetables when eaten in larger concentrations along with other nutrient-dense foods can work magic with your body. It's difficult to eat plates full of richly colored fruits and vegetables day after day, which is why more people are now turning to juicing. This allows you to drink your fruits and veggies without losing the valuable nutrients they contain. The Omega Juicer O2 juicer is a compact space saving design that doesn't take up a lot of room on the counter and is easy to store away when necessary. In fact, it is so lightweight that you could also take it with you while traveling away from home! Tax only charged for Maine customers.